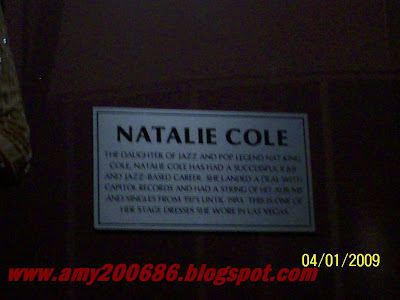 I have been posting the wonderful frames decorated on the walls of HardRock and they are memorabilia of Hollywood Artists. I already posted guitars and some other things. 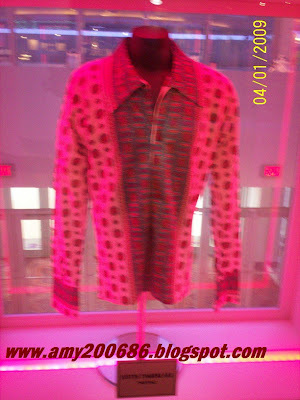 And now, I am posting few of the artists costumes, pant suit, gown, blazer and others. Enjoy! 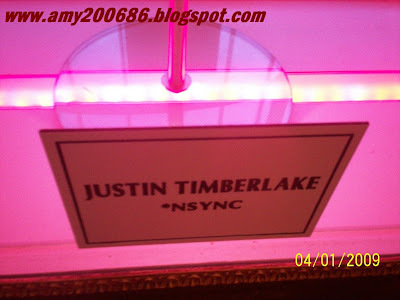 This is Justin Timberlake's attire. We went to Hard Rock Casino in Biloxi, Mississipi last Wednesday to have a Buffet at Satisfaction, a casual dining. The price of their lunch buffet is 12.99 but, when you are a member of their gamers club, then you can get a 50% discount every Wednesday and Friday. What a lovely treat right? 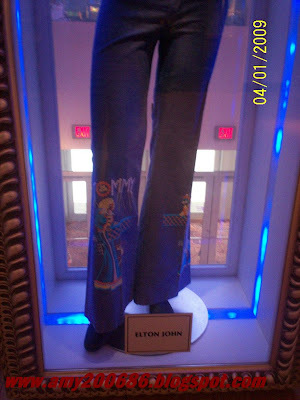 Elton John's pants...See the details at the bottom? I like it a lot. 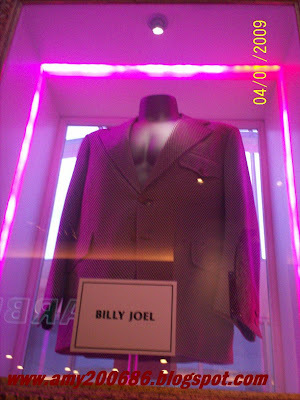 Billy Joel, I call this a blazer, so formal and so like him :-). 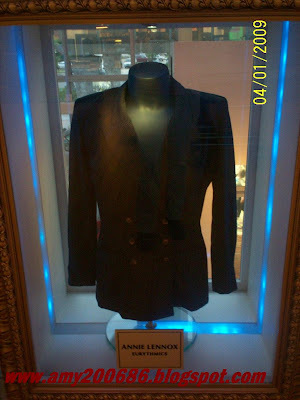 Annie Lenox, I always love to listen to her song. Click that link and get to know her. 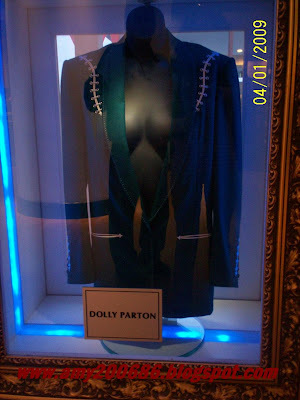 Dolly Parton, beautiful as ever and this is her suit. 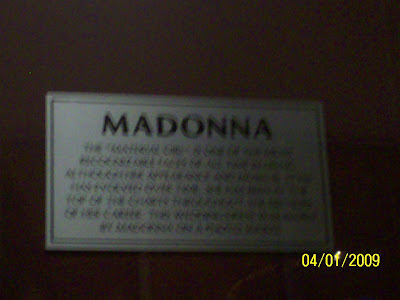 The controversial Madonna, yes, she is controversial as always. Presently, she is having an issue about her adoption papers on an African Child. The cause is good so, why can't she given the chance of helping the life of that child? Sorry...that is blurred. Just click it and read if you have the patience. 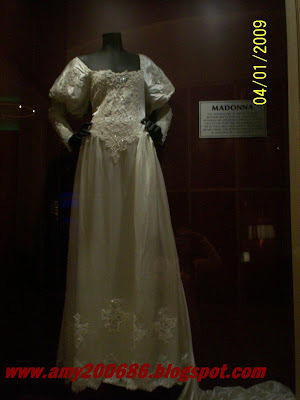 That is just telling about the gown of Madonna which was used in Material Girl song. Remember the video? She is in the casino too? 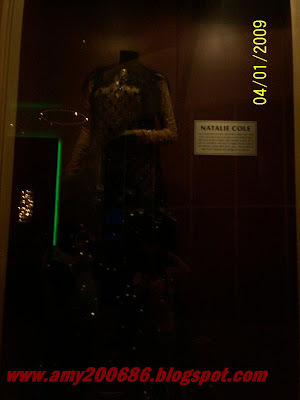 Natalie Cole's gown, who does not know her anyway? Be reminded of her songs, click the link. These are huge pedestal and not a frame. 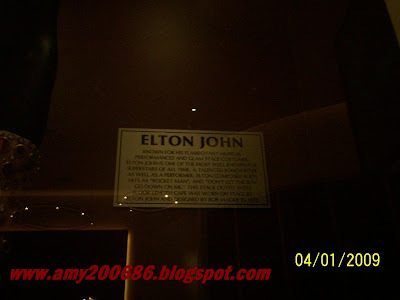 These are located at the entrance of Hard Rock Casino in the third floor of the property. 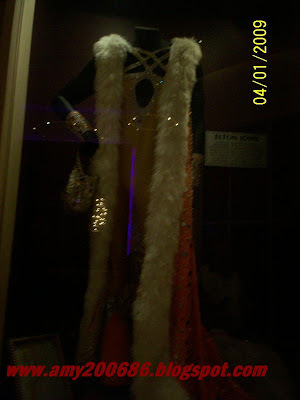 Another pedestal of Elton John's "gown" LOL...this is actually a costume and amazingly extend to floor length. A 1973 wardrobe creation. It is really huge pedestal facing the entrance of Casino. Just click the information about him and his outfit. These pictures that I posted are just few of all their collection here. It was truly an amazing experience having seen all these. I just saw it in my song magazine back home and love this moment. After all, this hotel is just 15 minutes away from my place.